Not everyone can afford a high-end handgun, in this article we'll explore some inexpensive handgun options. Sure you could buy a used high-end handgun for a decent price, but what if you want an affordable brand new gun? Fortunately there are some firearm manufacturers out there, (including some well known companies as you'll soon find out), that market affordable, reliable handguns for those of us who can't afford top of the line models. A lot of these guns are looked down upon by so called "gun snobs", because after all, if it didn't cost more than you make in a month how can it be a good gun? Yes, you'll hear horror stories about some of the guns I'll present here from this person, or that person, that heard it from another person, but the fact is most of those malfunction stories come from misuse or mistreatment of the gun in question. Heck, a lot of these cheaper guns have been known to out perform their more expensive counterparts. I'm not going to say any gun is perfect, a gun is a machine, and any machine with moving parts can malfunction. I'm simply saying those of us on a budget can still enjoy handguns, a reasonably priced gun is better than no gun at all. Find a balance, buy what you can afford, use what you feel comfortable with. To the guns! Bersa handguns are made in Argentina. Founded in the 1950's by a trio of Italian engineers, Bersa is known for their affordable, reliable handguns. They are imported to the US by Eagle Imports Inc. Bersa guns come with an "original owner only" lifetime warranty. The Thunder 380, Bersa’s best selling model, is a Walther PPK clone, it offers numerous valued features – accuracy, reliability and versatility in a lightweight, compact design. Features an Alloy Frame and Steel Slide. Some people prefer a revolver for concealed carry over an automatic pistol. Overall a revolver is less prone to malfunction than an auto, although some revolvers lack the ammo capacity of an auto and they may weigh a little more. I'll say again: It all depends on what type of firearm you are comfortable with using and carrying. A lot of manufacturers have been producing revolvers specifically for the concealed carry market. These are usually small, lightweight, short barreled, and feature a hammerless or low-profile hammer design for an unhindered draw and comfortable carry. They're are many options out there. In this installment we'll take a look at a few of them. 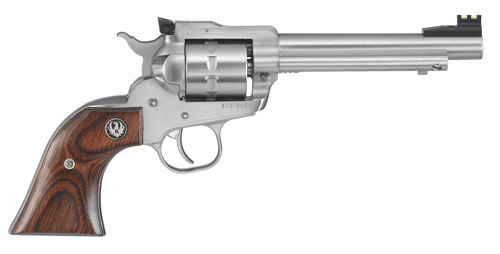 Ruger has introduced a new revolver to their popular Single-Six series, the New Single-Ten! That's right, it has a ten shot .22lr cylinder! 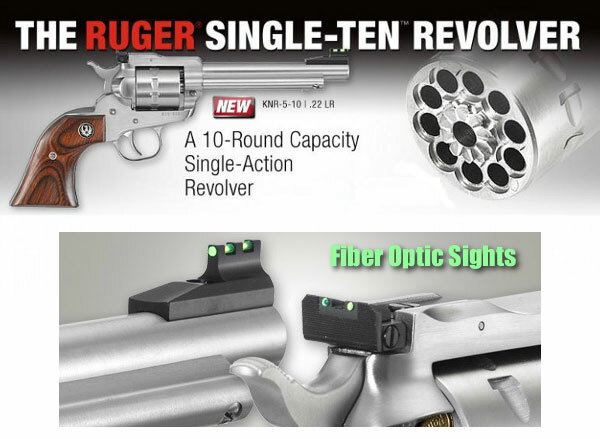 The Single-Ten features stainless steel construction throughout the gun, hardwood gunfighter style grips, and adjustable Williams fiber optic sights. In the last installment we discussed concealed carry pistols, in this installment of concealed carry options, we're going to take a look at some concealed carry holsters. Usually available in leather ,nylon, or composite. If you're going to conceal carry correctly you're going to need one. It's all a matter of finding the one that fits your gun and that you're comfortable with wearing and using. Hopefully this article will help you make the right choice. Imprinting: Imprinting is a visible outline of the gun under concealment, you don't want this, it defeats the whole purpose of concealed carry. Cant: The cant of a holster is the angle at which the gun is carried and drawn. 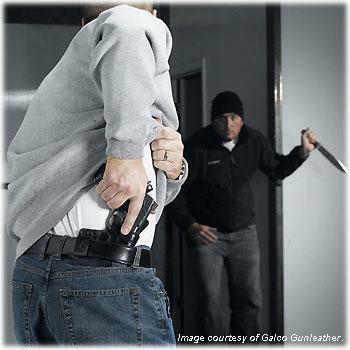 Retention: Retention refers to the capacity of a holster to secure your gun and keep it from slipping out or moving around. In this article we'll take a look at some smaller framed automatic pistols. Their smaller size allows easier concealment for discreet concealed carry. 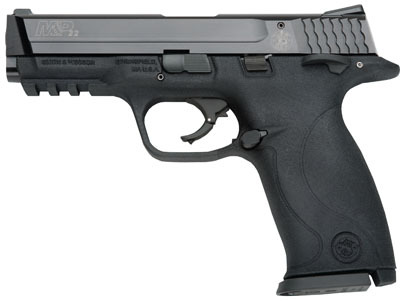 They also weigh less and are more comfortable to carry than full-sized pistols for some people. You've got your Compacts, they're smaller and easier to conceal than a full-sized pistol but still offer reasonable grip space ,barrel length, and magazine capacity. Next you have the Subcompacts, they're smaller still, with little grip space (although some do have grip extensions for users with larger hands), short barrels, and usually, but not always, single digit magazine capacity. But they're super concealable. Lastly you have the Pocket Pistols. These are so small they can fit in the palm of your hand and can be concealed in a pocket. Which one should you choose? It's really a matter of personal preference, and what you're comfortable with. Having confidence in the make, model, caliber and capacity of your carry firearm is important.